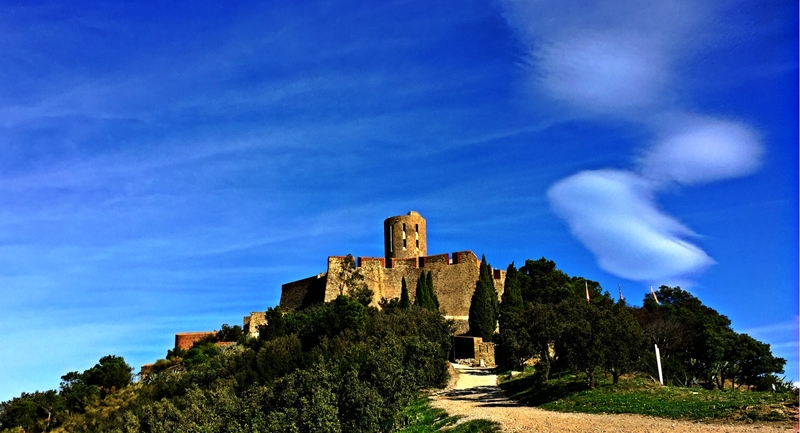 Majestetic placed on this hill overlooking Collioure and Port-Vendres: Fort St.Elme. The fort have a long history with the Spanish, the Catalans as with the French. Despite the latest modernisation and its adaptation to the artillery, on 13 April 1642, French troops of king Louis XIII achieved to take the fort. After the signing of the Treaty of the Pyrenees in 1659, the Spanish threat remained. When Vauban, military architect of King Louis XIV, made a reconnaissance of the defensive structures in 1659 in the region of Collioure, he decided to build a counterscarp, which forms with the ramparts base a ten-meter pit where infantry and cannons could easily operate. Around 1780, the fort’s facade was whitened to serve as landmark from the sea, with the Massane Tower, to better situate the port of Port-Vendres.